Instagram now has a bigger active user base than Twitter, according to a blog post written today by CEO Kevin Systrom. The photo and video sharing platform has over 300 million active users, more than Twitter's 284 million but a far cry behind parent company Facebook's 1.3 billion. Systrom also says that those users are uploading more than 70 million photos and videos per day. 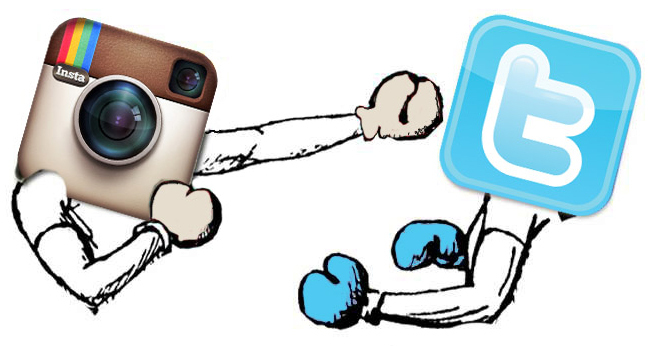 Not only does Instagram now have more users, it's also growing at a faster rate than Twitter. Instagram has doubled the amount of its active monthly users since last fall, when the service passed the 150 million mark. Twitter reached 200 million active monthly users in December of 2012, but it has seen its growth slow since then while also being passed by services like WhatsApp and Facebook Messenger — both of which have over 500 million. Aside from the numbers, Systrom also talks about renewing Instagram's focus on authenticity in the face of spam accounts — something the service has had problems with recently. "Keeping Instagram authentic is critical—it’s a place where real people share real moments," he writes. To curb these problems, he announced that Instagram will soon be rolling out verified badges for celebrities, athletes, and brands. It's a logical step after the company added a "People" search tab to the Explore section of the app last month.